Quick overview The Suppressor F31 Window mid-tower chassis is the new addition to the Suppressor Series to the Thermaltake case line. 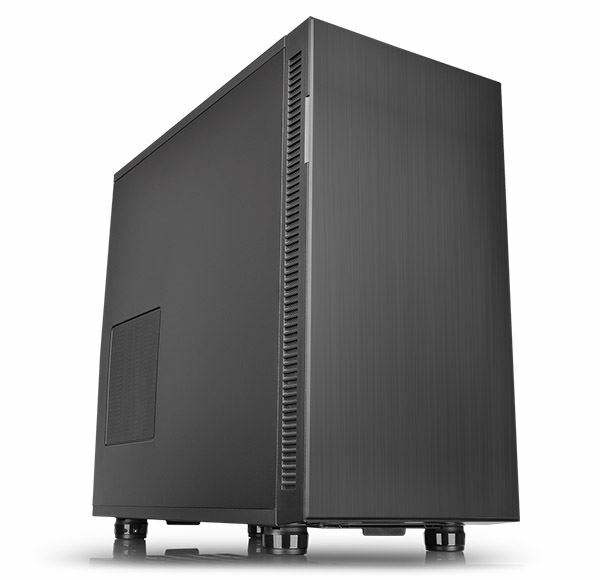 Featuring the first chassis with 250mm wide and leading-edge sound reduction panels on all sides, expand your cooling options with removable panels for the perfect balance in silent operation and cooling performance. Supporting a range of motherboard platforms from Mini ITX to ATX solutions, unrivaled liquid cooling expansion and expandability for all high-end GPU solutions users can expect an enthusiast built design they can trust.